One of the joys of unlocking an iPhone is being able to use it on another network of your choosing. A friend of mine just got an unlocked iPhone to work on T-Mobile, but she was disappointed to find out that MMS didn’t work by default. In versions prior to iOS 4.2.1 you can usually just set carrier settings and things work fine, but since iOS 4.2.1 you’ll need to manually edit some configuration files to enable iPhone MMS functionality on the USA T-Mobile network. This is obviously only relevant to those with unlocked iPhones on T-Mobile. If you are interested in jumping to a different carrier, you might want to read “can I unlock my iPhone?” and then learn how to jailbreak and unlock iOS 4.2.1 with redsn0w and ultrasn0w. Now MMS should work on your unlocked iPhone with OS 4.2.1 on T-Mobiles network. This solution was discovered on T-Mobiles message boards which are full of helpful iPhone unlock tips for that network. It’s somewhat humorous, but at least half of the ‘Non T-Mobile Phone’ board is related to unlocked iPhones running on their network. 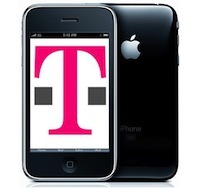 T-Mobile should really just offer the iPhone themselves officially, a large user base is using one anyway. On a related note, it looks like some of the problem with sending and receiving MMS messages on T-Mobile iPhones is that there is a message size limit. This limitation may depend on your data plan with them. replace your old SIM. instant working. honest. if you get stuck in being able to receive (most of the time) and only once in a while be able to send or never sent – replace the SIM. particularly if it’s several years old. This is absolutely true, get the new TMobile sim cards first. T-Mobile knows a lot of people use jailbroke iPhones on their network and they openly serve these users so do not be afraid to ask for the newest sim type that is iPhone compatible. will this work on Simple Mobile here in the US? So a new sim card will allow you to send and receive? I’ve had mine a long time as well. What are some of the restrictions that could be holding me back in my plan? I think I screwed up on the .plist format of the file. I read threw the TextWrangler manual and wasn’t able to see how to do it correctly there either. Can you please help? You need to format it into plain text then save in plist extension. This worked to send mms. Still can’t receive though. Any ideas?! THANK YOU SO MUCH!!! IV BEEN TRYN TO GET MY MMS TO WORK PROPERLY EVER SINCE I FIRST GOT AN IPHONE 3 YEARS AGO, AND THIS IS THE FIRST FIX TO EVEN WORK!!! IM GETTING MMS FROM LAST YEAR!! ONCE AGAIN THANK YOU!!! Thank you. I didn’t even SSH that stuff, I just input the data in the network settings and it worked. Yay! I still can’t get the mms to work. I don’t really want to jailbreak my iPhone, but I may have to go that route. Anyone got suggestions or other settings that would work? Hey Travis I have the same problem as you. I really don’t want to jailbreak it. Have you found a solution yet? I can send but I can’t receive. It worked for me! YEAH! I found the first part on another website but it still wouldn’t work but now that I went into settings I can at least send mms. Now hopefully I can get them too! Thank you so much!! So has anyone figured this out my phone is unlocked factory from australia and it seems everyone has same prob can send but not receive any solutions out there? hey so the picture messaging works great but i cant recieve them? how do i fix it? Work on first try, can send out no problems. Same deal here.. I was able to send but even the smallest of images I receive the same error. I hear the above editing of the plist file works but I also need Simple instructions as I’m not that computer savvy, what the heck is SSH ur iPhone which is step 1? Are we plugging this into the PC for the steps u outlined? And what next? What step do u choose first or what program do u open up? I tunes? Then what? Thanks..
SSH is this program that you have to download its called WinSCP. well that the one i use. you have to google it because i have everything saved on a flashdrive. Thanks to this i can send pictures on my iphone now! lol did this in 5mins tops. Thank You! Do I save it as a text file with notepad++? I have a iPhone 3G and I updated it to IOS 4.2.1. Now, my wifi doesn’t work and niether does my cellular data. Is there a way to do this when I can’t seem to access the phone through ssh, since I can’t download programs to the phone via the internet. A web link would be helpful.